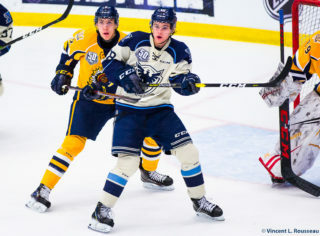 The Sherbrooke offence was held off the scoresheet in their final preseason match before the start of the 2017-2018 season, losing 4-0 to the Drummondville Voltigeurs on the road last Thursday night. Morgan Adams-Moisan scored at 6:36 of the first period and Carl-Olivier Dignard scored 53 seconds later at 7:29 to put the Vols up 2-0 on the Birds. Despite Sherbrooke getting three power plays in the first period. Olivier Rodrigue stood tall keeping the Birds from putting the puck into the back of the net. 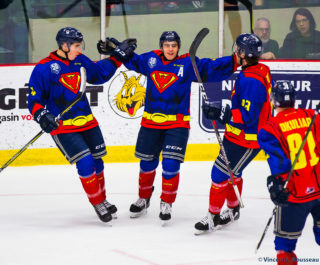 In the second period Morgan Adams-Moisan scored his second goal of the game to make it 3-0 at 8:37 and Robert Lynch scored the final goal of the game 3:22 into the third period to make it 4-0 for the home team. Brendan Cregan stopped 31 of 35 shots in the loss for Sherbrooke. Sherbrooke was unable to beat Rodrigue in the Drummondville net, the netminder finished the game with 29 saves and kept Sherbrooke 0 for 6 with the man advantage. Drummondville was also unable to score on the man advantage with Sherbrooke killing off all five of their penalties. 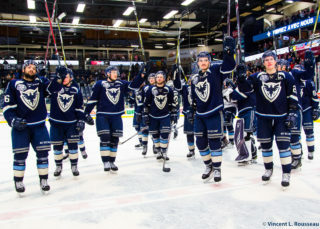 Sherbrooke will open the season with a trip to the Abitibi region to play the Val-d’Or Foreurs and Rouyn-Noranda Huskies September 22 and 23. 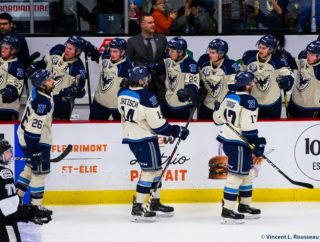 Before their home opener on September 30 at the Palais des Sports Léopold-Drolet against Chicoutimi, the Birds will play Shawinigan on the road September 27 to finish off three straight road games to start the year.